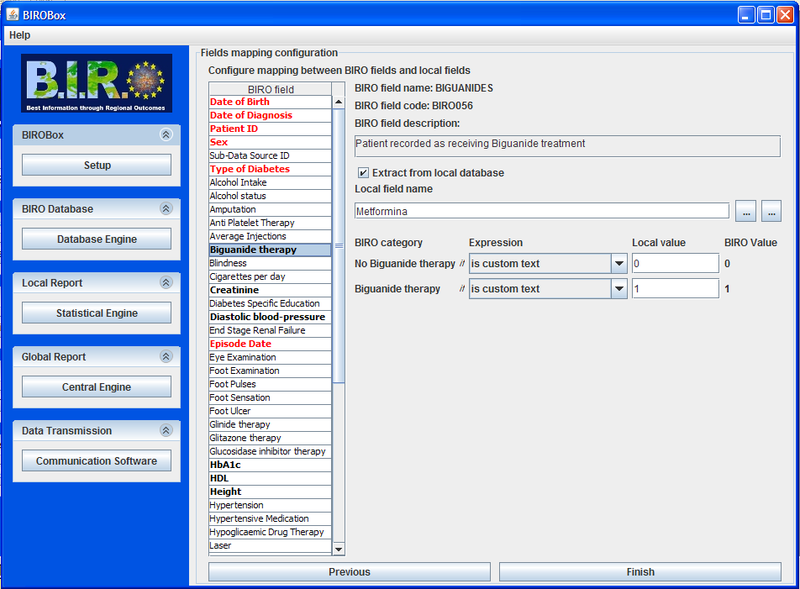 A working solution to fulfil the European Parliament resolution of 14 March 2012 on addressing the EU diabetes epidemic for the systematic data collection and monitoring of diabetes complications and health outcomes across Europe. Complex systems of health indicators require access to different sources, continuous update and regular maintenance. Our vision is to create sustainable solutions for public information in ways never done before, in Europe and beyond. Our mission is to implement a sustainable European Diabetes Register through the coordination of existing national/regional frameworks and the systematic use of the BIRO technology. Participants are connected through a system that automatically generates local statistical reports and safely collects aggregate data to produce international reports of diabetes indicators. The results can be used to develop recommendations for policy makers and to deliver prompt information to people with diabetes and all citizens. As of February 2012, the EUBIROD report includes indicators for year 2010, based on clinical records collected across nineteen European countries, using the same European standardized data definitions, statistical routines and transmission formats. 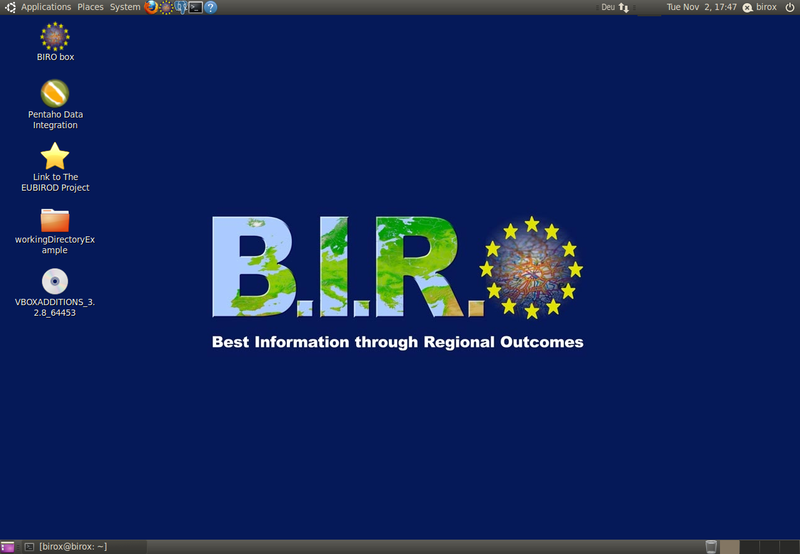 The BIRO system allows complete interoperability without interphering with the local organization. In other terms, each EUBIROD Diabetes Report, whether produced by one or more centres, is by definition entirely comparable across the whole collaboration. Each centre, through using the BIRO system, can produce own report independently, publish results on own website and repeat the procedure whenever convenient. The European report is built at annual terms by collecting aggregate tables from all partners. The whole process can be completed in few hours, as the analytical burden is distributed on all partners. The completeness and range of indicators provided by different regions is not directly related to the size of each territory. Complete data sources are more generally found in regions, which in several cases are interconnected by national initiatives. New opportunities of this kind must be found for the benefit of people with diabetes. BIRO is a tool that can facilitate this process. Effective strategies for the progressive expansion of the EUBIROD cohort are currently under discussion. The following map displays the current geographical coverage of the EUBIROD cohort from the nineteen countries who have directly used BIRO to produce the global EU report for year 2010. 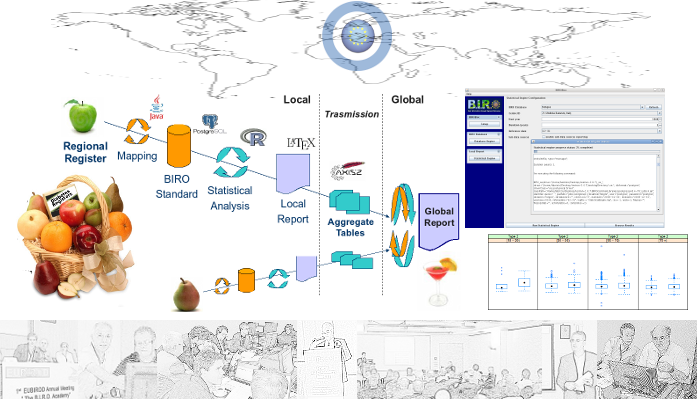 The BIRO System is a suite of integrated software tools including a database engine, statistical and central engines, communication software and a web portal. The BIROBox is the Graphical User Interface realized to allow users to operate all components very easily and totally autonomously. All software is distributed in a single bundle including a complete operating system running under a Linux Ubuntu Virtual Machine: BIROX. The distribution runs on any platform - including Windows, Linux, MacOS - with absolutely no need to change the setup of the local environment. The system is completely open source and will be made freely available to third parties interested in joining our efforts to improve the quality, comparability and coverage of diabetes information across the world. 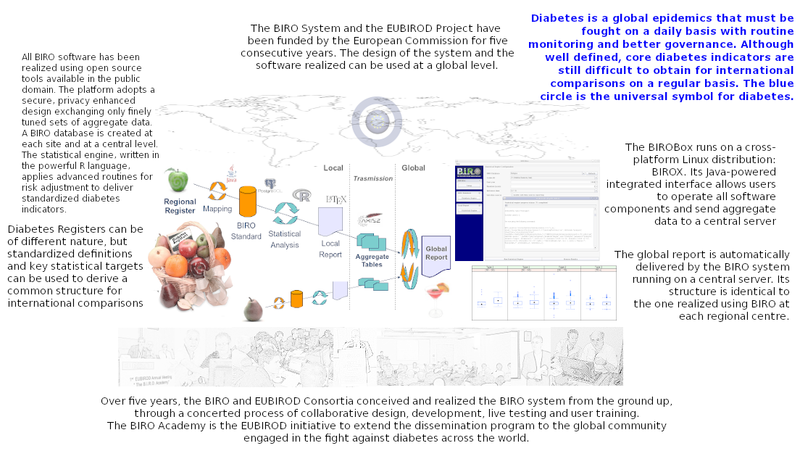 Currently, BIROX is used by EUBIROD partners who coordinate diabetes registers from 20 EU Countries and are using the BIRO System to carry out the analyses required for the production of the 1st European Diabetes Report. An example of the BIRO Reports that we are able to produce is available here. Please note that the example is only provided as a sample and does not relate to the actual information content of the test database.